Unspoiled Weishan boast Yunnan's most beautiful county town, an important Taoist mountain and areas of strong Muslim and Yi tradition. 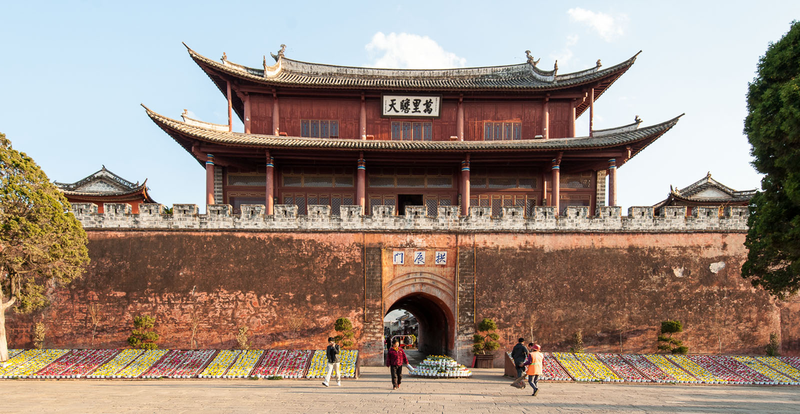 Weishan is Dali’s little brother: the beautifully preserved county town retains many fine buildings; the temples on nearby Weibaoshan date back to the Nanzhao Kingdom and the Yi give an attractive dash of colour to the local markets. But unlike its more famous neighbour to the north, Weishan receives hardly any visitors: undeservedly, as the county maintains a charm that has long been lost in overrun Dali. The river that flows through Weishan central valley locally known as the West River is in fact the upper Red River, starting its long journey to the gulf of Tonkin. Its source lies in Weishan’s northwest in the mountains that separating it from Xiaguan. From there its many arms meander beautifully through the valley, before they combine just north of the county town to take an easterly turn into Nanjian county further south.